Sometimes I wish I had a more personalized, artsy photographic style. I've grown completely weary of the "professional" look. I adore photos that look like paintings, like beautiful art you could hang on the wall rather than something found in a Vogue magazine. It may be an odd thing to say, but I'm actually quite fond of the dirty look, as I like to call it. I love the grain on high-speed film, the slight blur of a cheap fisheye attachment, and the discoloration of a polaroid. 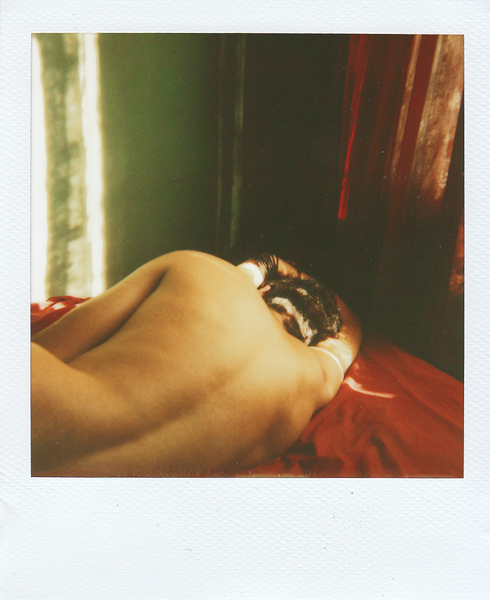 I find photos like this one, a polaroid by Elif Sanem Karakoç, absolutely beautiful. Perhaps I need to start shooting flashless with film, or even just start bringing my camera everywhere I go again. Fortunately, today was the first day of my "photo school" so I have no choice but to start shooting more often.